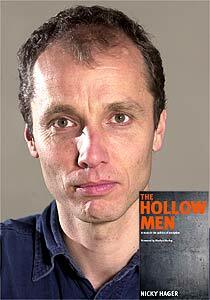 Rightly or wrongly, investigative writer, Nicky Hager's book "The Hollow Men", is widely credited with influencing Don Brash in his decision to relinquish leadership of the National Party. Who is Nicky Hager? What motivates him to so consistently attack the so-called "right"? There is no doubt that Hager is on the left, but how just how socialist is he? The son of a wealthy Levin clothing manufacturer, Nicky Hager lived in a family that moved steadily to the left. Kurt and Barbara Hager, initially supported National, then Labour, then the eco-socialist Values Party. Barbara Hager was at one time the Values party president. Nicky Hager was also active in the Values Party, but when he went to Victoria University in 1977 he began mixing with an even more socialist crowd. At the time Vic's student politics were dominated by a pro-Chinese, Maoist faction known firstly as the Wellington Marxist Leninist Organisation, then after 1980 as the Workers Communist League. The WCL became widely known as the "Weasels", a play on their initials and their reputation for dirty and underhand tactics. "The WCL is a discreet organisation in order to protect itself and its members from the state and employers. The League is neither totally secret, nor open to public view. It seeks to combine organisational discretion with the maximum airing of political line and policy." Consequently membership in the WCL was very often "confidential". There is no conclusive proof that Hager was a "Weasel", but he was certainly moved in extreme left and WCL circles. In 1980 Nicky Hager took over chairmanship of the Wellington Nicaragua Solidarity Committee. 1/ to get out the facts on the revolution in Nicaragua. 2/ To provide aid for the Nicaraguan people. 3/ To oppose US intervention in Central America. Many members of the NSC were involved with the Trotskyist, Socialist Action League; Keith Locke, Pat Starkey, Cheryl Gwyn, Matt Robson, Steve Hyde, Brendan Gleeson etc, but some were more Maoist aligned, including, possibly, Nicky Hager. 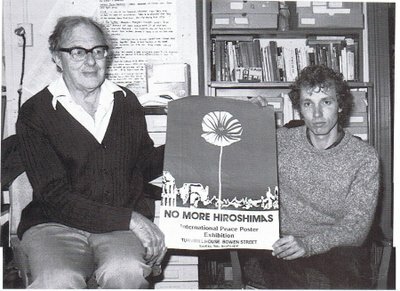 By 1982, Hager was a leading member of Wellington CANWAR (Coalition Against Nuclear Warships). The organisation campaigned against nuclear warships and actively harassed any US ships entering Wellington Harbour. Well known Workers Communist League member, the late Ron Smith wrote in his 1995 autobiography "Working Class Son" how he became involved in CANWAR on his retirement from the Public Service in 1980. 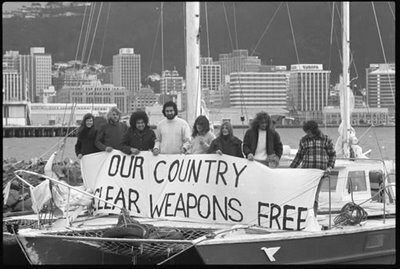 Also in 1980 another WCL activist, Simon Wilson had to resign the presidency of the NZUSA after being arrested for spraying anti-nuke slogans on the USS Truxtun, as part of a CANWAR campaign. CANWAR and Wellington CND were essentially the same organisation, with considerable cross membership. In 1982, Nicky Hager was listed in student paper "Salient" number 18 as a contact for CND. Bob Rigg; An open socialist and associate of many WCL members, Rigg also spent time in China in the'70s while active in Waikato University student politics. Margie Thomson; Latterly books editor on the NZ Herald, Thomson was in the early '80s actively involved with the WCL and worked on its newspaper "Unity"
Roger Tobin; Latterly a Dunedin teacher, Tobin was well known as at very least a WCL sympathiser, while active in student politics at Victoria Uni in the early '80s. er, so the weasels had a semi secret membership and dominated the wellington left in the 1980s, therefore anyone active in peace/anti nuke/activisty stuff in welly at the time is a possible weasel? The only way you'd know for sure whether someone was a Weasel or not, would be if you were a Weasel yourself. Were you a sneaky little Weasel anon? No name, no valid comment. Same could be said about your mindless drivel, muzza. Scamper off nameless fluff ball. That's exactly what I am talking about. Perhaps anon you could be a bit more forthcoming then. Do you Know for sure that Hager was not involved in the WCL and if you know, how do you know? Just caught up on this drivel. How the hell do I know for sure that that you weren't a founding member of the Hitler Youth. And for your information Bob Rigg had had absolutely nothing to do with Waikato for many years when he went to china.